A view of Erie Street as it looks today. This project, in its planning phase now, aims to revitalize the historic Erie Street corridor as a primary connector from downtown to the waterfront. 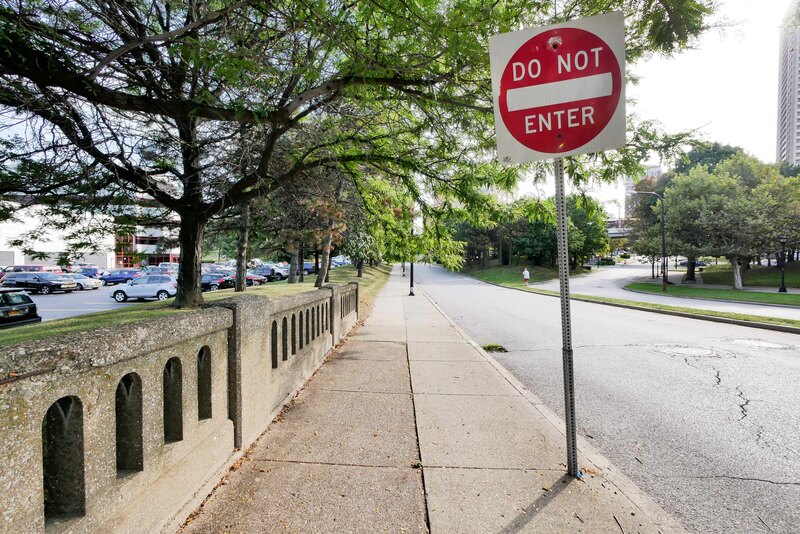 This project aims to revitalize the historic Erie Street corridor as a primary connector from downtown to the waterfront, providing more opportunities for pedestrian and bicycle use and enhancing aesthetics and green space. As more and more people are being drawn to the waterfront, there is a need to create more effective, efficient and attractive connections. Restoring historic Erie Street as a straight connector on its original historic alignment would serve as a catalyst for new establish economic development parcels and opportunities near Erie Basin Marina and Waterfront Village. Ultimately, this project will transform Erie Street into a safe and inviting connection from Main Street at Shelton Square to the growing Waterfront District. In February 2018, the City of Buffalo procured Wendel to serve as a consultant providing engineering services for the design of the Erie Street connection project. ESD and the City of Buffalo’s Buffalo Urban Development Corporation have been working with Wendel on development of conceptual designs for the project, which will be shared with stakeholders and the public in early 2019. In January 2017, Governor Andrew M. Cuomo announced $10 million for the Erie Street Waterfront Connection project through the Buffalo Billion Phase II initiative in an effort to enhance waterfront access from downtown Buffalo. This investment will reconstruct and realign Erie Street more closely to its historic alignment, creating smaller land parcels for economic development and new greenspace opportunities through reductions in pavement, and promote pedestrian connections with the water’s edge.